With a stay at Grand Pier Old Town Hotel, you'll be centrally located in Bucharest, within a 10-minute walk of Patriarchal Palace and Romanian Patriarchal Cathedral. 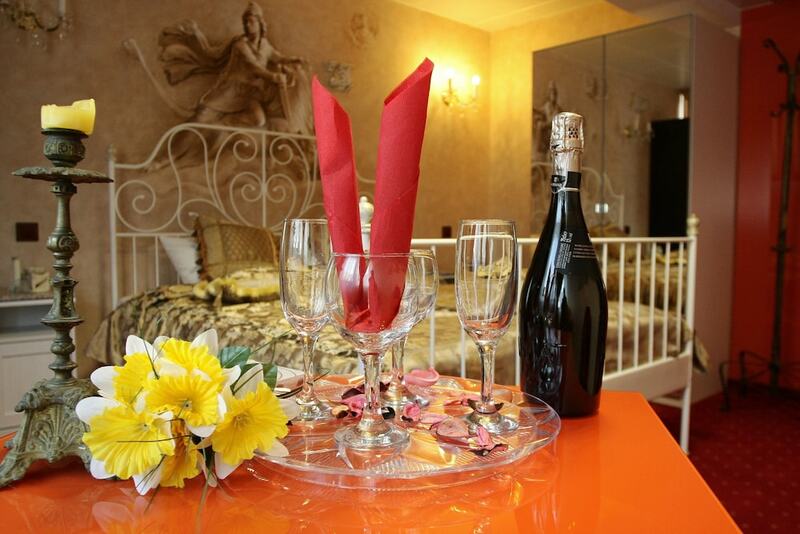 This romantic hotel is 0.7 mi (1.2 km) from Radu Voda Monastery and 2.3 mi (3.8 km) from Palace of the Parliament. Make yourself at home in one of the 30 air-conditioned rooms featuring minibars. Your memory foam bed comes with down comforters. Complimentary wireless Internet access keeps you connected, and cable programming is available for your entertainment. Private bathrooms with bathtubs or showers feature designer toiletries and hair dryers. Pamper yourself with onsite massages or enjoy recreation amenities such as a sauna. This Beaux Arts hotel also features complimentary wireless Internet access, concierge services, and gift shops/newsstands. Featured amenities include a 24-hour business center, limo/town car service, and express check-in. Planning an event in Bucharest? This hotel has 250 square feet (23 square meters) of space consisting of a conference center and meeting rooms. A roundtrip airport shuttle is provided for a surcharge (available 24 hours), and free self parking is available onsite.